Fedora is a hat made out of felt. It has a wide brim, crown that is indented and pitched, and a ribbon. It can be made in any color but black, gray, dark brown and tan are the most widely sought. It first appeared in 1882 as a female hat. That year was a first production of a play “Fédora” by the French author Victorien Sardou. He wrote the part of Princess Fédora Romanoff, a title role, for then famous actress Sarah Bernhardt. In it she wore center-creased, soft brimmed hat. The hat was soon a popular fashion for women especially for women’s-rights activists. After 1924, when Prince Edward of Britain started wearing them, fedora was adopted by men and became part of their fashion replacing bowlers, flat caps and top hats. It was primarily worn in urban areas for protection from bad weather and for esthetic reasons. Orthodox Jews also adopted black fedoras in the first decades of 20th century and wore them as a part of their daily wear which many of them still do. Fedora with a narrower brim, called trilby, was also popular. Height of the fedora’s popularity was from mid-1920s which is why it is often associated with Prohibition and gangsters. 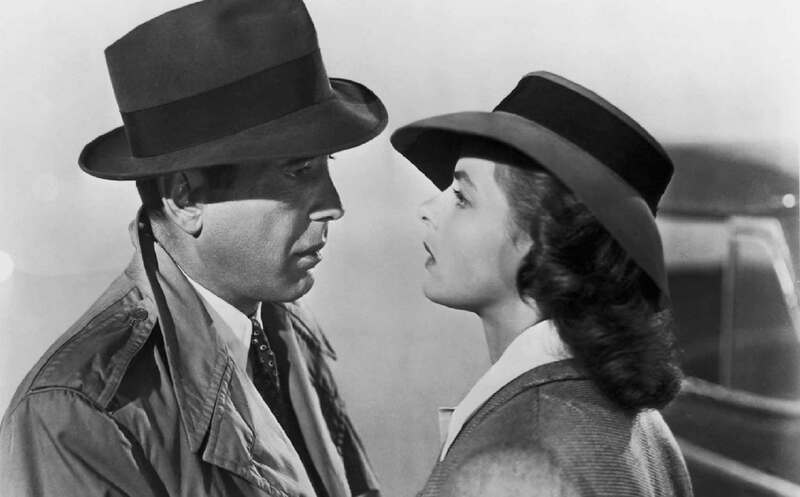 In 1940s and 1950s noir films popularized fedora hats even more and its popularity lasted until late 1950s, when informal clothing became more widespread. It returned in mid-1970s and again in 1980s and in 2000s. Fedora and trilby hats were so fashionable because of their style and because of their practicality. They didn’t obscure the view while driving the car and were not as big as top hats so they could be worn in public transport. They could also be stored by folding without losing its shape. But main reason for constant returning of the fedora to fashion should be looked for in media and its influence on people. In 1940s and 1950s, Hollywood brought back fedora by making movies in which fedora hat was a repeating icon of manliness and mystery worn by such names as Humphrey Bogart and Cary Grant on celluloid and Frank Sinatra on the stage. In seventies it was Indiana Jones that who brought revival of fedora to the silver screen. Television carries as much weight of responsibility for popularity of fedora as cinema. Legendary college football coach Paul Bear Bryant wore his trademark plaid and hounds-tooth fedora while standing near sidelines of games of his teams. Fedora was a part of his image that he is wearing it on the cover of the Time magazine. One more coach that made fedora an irreplaceable part of his attire was Coach Tom Landry, head coach of Dallas Cowboys from 1960 to 1988. In later years many musicians such are Michael Jackson, Justin Timberlake and even Brittany Spears were wearing fedora in their live appearances and kept fedora hat in fashion. Famous writer Terry Pratchett is known, among other things, for wearing a wide brim white fedora.